Let us give you a free and competitive quote on your new air conditioning system. At AZ AC Service our goal is to promptly diagnose and repair all emergency cooling and heating break downs for an honest and competitive price. If it cools or heats, we can fix it or replace it. If you're shopping for a brand new, fully warrantied (10 year) system, call us for a free competitive quote. 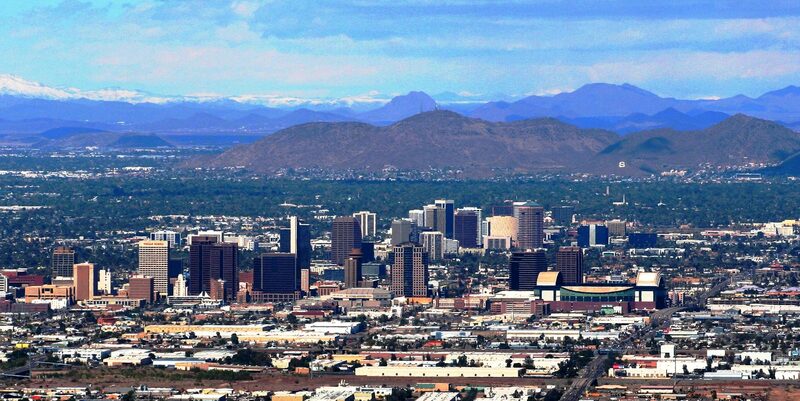 AZ AC Service LLC is operated by Shawn Adams, a Phoenix native and lifelong resident who cares about your comfort. Shawn is a certified HVAC technician with over 15 years of professional HVAC repair and installation experience. "Great Company, my AC went out at 4:00 pm and he came out within 1 hour and was ready to install the new unit the next day. Very professional, courteous, reasonable price and I highly recommend." "I had a problem with my AC units. several companies came, their conclusion was compressor has to be changed. The estimated cost was out of my range. One of the Trane certified specialist simple told me he's not interested to do this job because he overbooked. Luckily somehow I found Shawn advertising on craigslist. I am not a believer, but he was a God sent. He took care of everything for a very very reasonable price . I cannot appreciate enough . Nobody ever going to do air conditioner work for me but AZ-AC. I consider myself a luckiest guy to find him. You can trust him 100%. Thank you Mr. Shawn again." "I have owned my AC unit for 8 years and have had to do little-to-no maintenance in that time. As of late I had noticed that my unit was running longer and longer to achieve the temperature we had set in the house. I called Shawn out after having a bad experience with the big box companies and hoped for a good, honest review of what I needed to do to my AC. Shawn did that, and then some! He was very informative of everything he was doing to my system, and for what reason. He was also just a very likeable guy with great conversation. My unit ended up being undercharged and required some freon. He got me all fixed up, and two days after his service, I can immediately tell the difference the moment I walk in my door from work. I wanted to leave some feedback for him because I am extremely happy with his services and will be calling him back for my future needs. I now am proud to say that I have an AC guy I can trust! Thanks for everything Shawn."